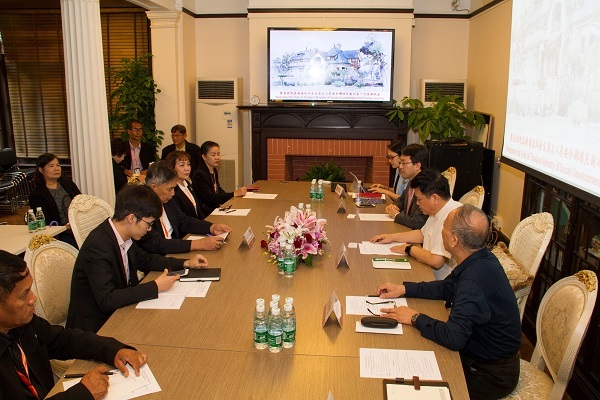 A delegation of 15 people from the Ministry of Social Development and Human Security of Thailand, led by Dr. Manit Maneethum, visited the Shanghai Soong Ching Ling Foundation on the morning of September 28. 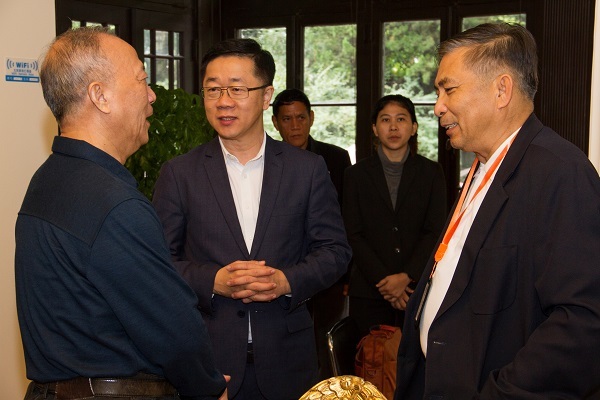 The SSCLF leaders warmly welcomed the Thailand guests, and introduced the foundation's mission, organizational structure and operation mode and shared its main public welfare projects with focus on women and children. Thai guests also gave brief introduction on the current situation of the youth in Thailand and measures taken by the Thailand government. Followed was a lively interactive dialogue on the exploration and practice of solving the social problems related to youth. Both sides considered the communication was helpful to have mutual understanding and learn from each other and expressed the desire to further strengthen bilateral cooperation. 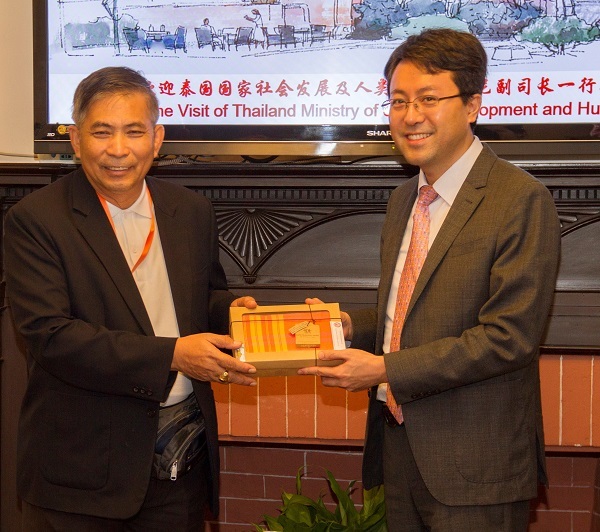 Accompanied by the foundation’s leaders, Thai delegation visited the Children’s Palace of the China Welfare Institute.